When people enter public and commercial buildings, they don't anticipate walking into a dangerous environment. Locations like hospitals and offices must keep visitor health and safety as a top priority. However, sneaky pathogens can lurk in dark corners and crevices and can lead to serious illnesses. One such bacteria is Legionella, which can lead to several different types of serious respiratory infections, according to the Centers for Disease Control and Prevention. Legionella was first discovered in 1976 and named for the Philadelphia American Legion building in which it was found. In the decades since, numerous outbreaks have been reported around the world, often leading to disease. One out of every 10 people who contract Legionnaires' disease dies, CDC reported. In nature, Legionella thrives in warm water sources like rivers and lakes that have enough sediment to offer the bacteria protection from changing temperatures and chemicals, according to BUILDINGS.com. Rarely-used water systems, like emergency eye-washing stations. Water pipes, especially corroded ones that provide the sediment Legionella loves, such as those connected to an aging HVAC system or cooling towers. Warm, still water, such as that found in public hot tubs. Cooler water sources, such as ice makers or dental lines. 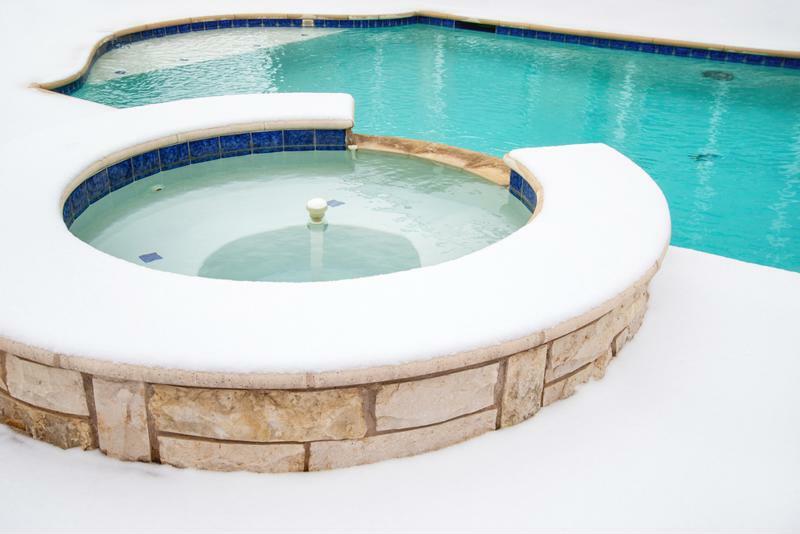 Hot tubs provide the ideal environment for Legionella, but this bacteria can also thrive in cooler water sources. Once Legionella is discovered, it's critical that the organization in charge of maintaining the building act quickly. Though Legionnaires' disease typically isn't contagious, the bacteria can contaminate other areas of a building's water system. Decontaminating the water system may involve shutting down the affected areas and flushing the pipes with hot water. For example, when Legionella was found in Landstuhl Regional Medical Center, a U.S. military hospital located in Germany, the center closed down affected areas and flushed the pipes with 167-degree water, according to Military.com. This temperature can kill the bacteria but cause serious injury to anyone who accidentally turns on the tap while the decontamination process is ongoing. Once the process was completed, the pipes were retested to ensure the bacteria was eradicated. While it's a good idea to have a contingency plan in place should Legionella begin to grow within a building's pipework, it's generally best to prevent it from happening in the first place. The cost of decontamination, the need to shut down a portion of the water system and the negative impression the incident leaves on the public can all have a lasting impact on an organization, even when Legionella is eliminated without causing any illnesses. Pairing point-of-use and point-of-entry water filtration systems can be effective in reducing the risk of Legionella formation. This combination is often more effective than solely using a point-of-use system or chemical cleaners, Water Quality Products magazine explained. Point-of-use systems, such as those affixed to shower heads or faucet taps, may not be enough to fully filter out the bacteria; having an initial filtration at the point of entry can increase effectiveness. Chemical cleaners are effective for hot-water systems, but aren't much help when Legionella takes up residence in a cold-water stream. Investing in an effective point-of-entry water filtration system can be costly for a commercial, municipal or other public building. Though the upfront cost is often well worth the peace of mind that comes from having a safe water system, the price tag can still cause a facility manager or other building executive to pause. Offering a financing plan that helps to reduce the upfront cost can help. To learn how you can offer financing programs to customers hoping to install point-of-entry water filtration systems, reach out to Aqua Finance.